Though I kinda hate to admit it, the bass track isn’t usually the most important thing on the record. I’ve been a bass player for close to 35 years now, so that is a rather painful realization. But I’ve resigned myself to it, and reluctantly accept that the singer (well, the lead vocal) is what will determine the success or failure of a recorded song. This article will discuss some of the things I’ve found to be helpful in the quest to record great vocal tracks. This isn’t meant to be an exhaustive list, just things that have helped me (and the singers I work with) to do the best that they can do. Most of us don’t have the luxury of having a producer sitting next to us, making decisions and guiding the singer towards the perfect performance—I’m usually the producer and the engineer (as well as the assistant, the janitor, the caterer, the billing department, and the guy who gets blamed whenever things go wrong). So I’m writing under the assumption that you’re in pretty much the same position. Why do I emphasize this? Because while some of what will be discussed below are engineering functions, others are part of the producer’s role. I’m combining the two, because that’s the way that it usually works in my world. Admittedly, I seldom (or never) get to spend enough time on pre-production with the singers I work with. But there are a few things that I’ve learned that are of paramount importance. The first is that you have to make sure that the key of the song is right for the singer, and the second is that I want to have a copy of the lyrics in front of me before we start recording. I used to be surprised when someone would come into the studio to record a song that they’d written (and often performed many times in public) when the reality was that they simply could not hit the notes in their own melodies. Not any more, though—I’ve seen it happen too many times. When time (and budget) allow for pre-production meetings, I’ll listen to the song with the singer accompanied only by a single instrument (usually acoustic guitar or piano). I can see what the highest note in the song is as well as the lowest note. In a perfect world, both the highest and lowest notes are comfortably within the singer’s range. In a less than perfect world, we might have to look at changing something. I would much rather change the key than the melody, since the melody is half of what defines the song (with the words being the other half, of course), but even that can be problematic. Sometimes it’s possible to change how the singer is singing; here’s why that can work, using my own voice as a (bad) example. The lowest note that I can hit is a low D (sometimes a low C, early in the morning). The highest note that I can squeak out is a high B or C. Does that mean that I’ve got a two-octave range? Shoot, no—I’m a pretty terrible singer, and my usable range is a heck of a lot smaller than that—less than an octave. But (and here’s the key), the ‘usable’ part of my range changes depending on how loud I’m singing; if I’m singing quietly, the lower part of my vocal range is usable, but my voice cracks if I try to sing high notes. If I sing loud, I can’t sing as low, but I can sing a lot higher. And there’s also head voice (which I can’t do at all, but some singers use all the time). If a singer can’t hit the notes singing in their usual style, pre-production is the time to experiment with other approaches—louder, quieter, breathier, with more growl, or whatever. The goal is to make the singer sound his best, and thereby present the song in the best possible manner. By the way, for the far more common projects where I don’t have any pre-production meetings with the singer, I have to try and do this on the fly at the session. This takes valuable time, but it has to be done to get the best performance of the song. 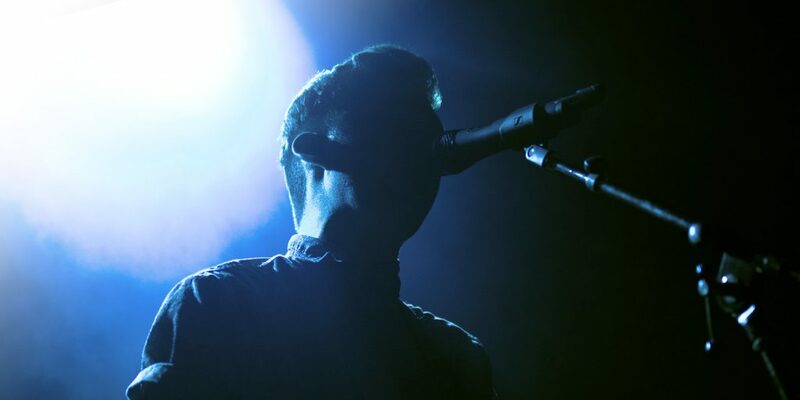 The third reason I want lyrics in front of me is that it means that the singer will also have lyrics in front of them when they sing; it’s a lot more common than you’d think to have the singer simply forget some of his own words. You know, we’ve all read about those singers who recorded their hit song while surrounded by their necessities—their lava lamps, their incense, their ginseng tea and their aromatherapy candles; they want the darkened room, along with (I suppose) their bunny slippers, their spiritual advisor and the studio to be at 71.5 degrees and 42% humidity. Well, good for them. Really. I tend to take a different approach, however. To begin with, I want light—enough light so that the singer can see their words, and, if they’re singing with a band, enough light so that all concerned can see each other. I’ve never been able to see that building a womb for the singer results in a performance any better than their performance while standing in the middle of a well-lit recording studio. For that matter, I know that most of us who read Recording don’t usually have the luxury of a purpose-built recording studio, including me; for 10 years, my studio was in my house (well, in a basement for about 8 years, and in a garage for two more years while I built my studio in Nashville). During the course of those 10 years, singers worked in closets, bedrooms, laundry rooms and bathrooms. And you know what? They sang great! I pretty much make sure that the vocalist has someplace to set their water (tea, coffee, or whatever), a music stand, a chair to sit on while they listen to playbacks, and off we go. Don’t misunderstand, though—I will try to make the singer comfortable, but I have never seen the need to go overboard. I believe that the single most important skill that an engineer/producer can develop is the ability to communicate with the singer. Since engineers are not, as a rule, known for their gregarious nature, people skills aren’t necessarily a high priority for them. Yet they should be, since knowing how to make the talent comfortable while drawing the best possible performance from them is a major issue. Remember that when the singer is out in the room, you are more than just the engineer—you’re also the cheerleader, the advisor, the person who has to tell them when they’re not good enough—and the person who tells them when they are good enough. You have to do all of these things while taking care of more technical tasks like keeping the recording levels correct, making the headphones right for the singer as well as keeping order in the control room. Oh—and don’t forget that you also need to keep things moving; nothing will sap the energy from a vocal session faster than stopping after every take to listen to what you just recorded. So you have to learn to make decisions fast; before you hit ‘stop’ at the end of a line, you have to already know whether the recorded pass was good—and if not, you need to know what was wrong with it (and more important, how to fix it). Every singer is different; some want to hear constant praise—to the point that even when you have to tell them that they didn’t do good, it needs to be phrased as a compliment: “Hey, you did a great job on that second chorus! Let’s do the second verse again to bring that up to the level of the chorus….” Others work better with kidding, jokes and even out-and-out insults: “Jeez, I guess since that’s the best you can do, we should move on.” The trick, naturally, is to recognize which is which—before you start in with the insults. 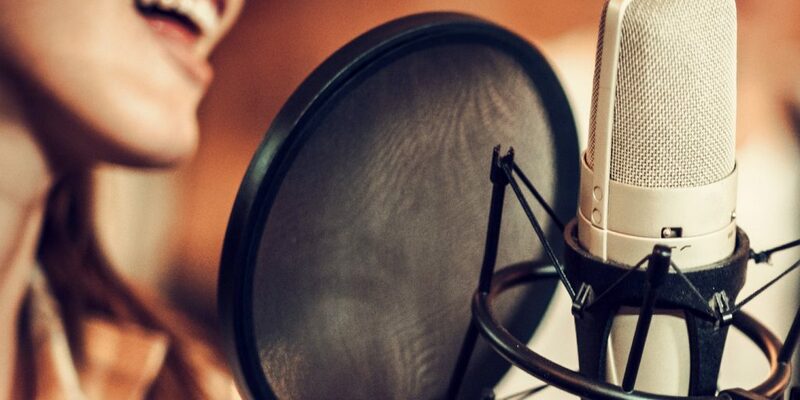 In some respects, I look at the practice of recording vocals as a conversation between the singer and the producer; I’ll typically have them sing through the song (or a section of the song), and we’ll quickly talk about what worked and what didn’t. Then (when necessary) we’ll do another take—or part of a take, recording only the lines that needed fixing. I mentioned earlier that I really like to keep things moving; by that, I mean that I don’t want the singer standing out in the room with only silence in his headphones while those of us in the control room discuss; it can get really lonely out there, and those with insecurities will find their insecurities magnified by the silence. So I try to keep a dialog going, if for no other reason than to allow the singer to feel that they’re part of the recording process. The decline in the use of tape has advantages and disadvantages when recording vocals. One major advantage is that we no longer have to wait for the tape to rewind. And one major disadvantage is that we no longer have to wait for the tape to rewind! With a DAW, you can stop recording, say, “Again, please” and be back at the beginning before the singer can take a breath. This is not good. Despite what I just said about keeping things moving, there can be too much of a rush; you have to give the singer time to have a sip of water, stretch, or just take a few deep breaths. Rewinding tape gave the singer time to do those things while the producer chatted with them about the next thing to do. Since that small break time is no longer forced into the process, the producer has to be aware of the need for it, while not taking so much time that it impedes the recording process. This is a fine line, one that only experience will teach. I’ve mentioned a couple of times the need to make decisions as you go; this segues nicely into a short discussion of method. DAWs make it easy to record multiple takes of songs, takes which can be combined (or composited—‘comped’ for short) into a final performance after the singer is finished. This isn’t a new thing, by any means; Michael Wagener told me once about having to record more than 20 takes of a (rather famous) singer’s performance in the 1980s, and then having to sort through them all to try and create a finished vocal track. Bob Olhsson said that in later years, Motown would do the same thing, but with a difference—at Motown, once all of the vocal passes were comped down to one track, the singer was given a copy of the track to learn. Then, another session would be scheduled, so the singer could try to beat the comped track. And Bob tells me that most of the time, they would beat it. Unfortunately, while comping has become ever more popular on contemporary recordings, the practice of allowing the singer to try and beat the comped performance has fallen out of favor. I’m not a huge fan of comping, and here are some reasons why: First, it takes a lot of time (that most of my clients can’t afford), second, you can’t know if every line of the song is actually good until you do the comp, and third, it’s hard for a singer to maintain the same level of energy when singing tracks multiple times—especially when those tracks are sung on different days. Matching levels and processing isn’t an issue (that’s why recall sheets were invented), but when the energy level changes line by line, I find it to be really distracting. (Anyone remember that Mariah Carey song that was rumored to be comped together from more than two hundred takes? It was awful…). So here’s my usual approach: I’ll usually have the singer sing the whole song a few times as I’m getting levels and tweaking the headphones and they’re warming up and getting used to the headphone mix (though I do record each pass). Once we’re at the point (ideally, fairly soon) that I think we’ve gotten mostly usable vocals, I’ll go back and have them sing any sections (verse, chorus, whatever) that I thought weren’t as good as they should be. And then, if there are single lines, or parts of lines, that I think should be better, we’ll go back and punch them in. And this is why I want a lyric sheet in front of me—I use it to make notes as the singer is singing. My notes can be as simple as making a mark to the left of each line that I like, or that I don’t like. Or I can underline the lines that I thought were exceptionally good (or exceptionally bad) as we record the vocal pass, so I can have some sort of visual cues to remind me of where we are. Once I suspect that the vocal track is acceptable, I’ll have the singer relax (while still out in the room and wearing their headphones) and we’ll listen to what we’ve done. While listening, the singer and I will be following along on our respective lyric sheets; once we’ve listened either to a section or to the whole song, we’ll go back and fix anything that caught either of our ears. Only when we both think that we have a good track does the singer take off the phones and listen in the control room. We might go back and work on some more problem spots after this final listen, or we might agree that we’re done with that song. In either case, the final approval from the singer (who is usually also the client) only comes after listening over the speakers rather than just on headphones. When punching in single lines or sections of a song, it’s important that you give the singer enough time to hear where they are in the song; this might be a couple of seconds, or it could be as many as 10 or 15 seconds—the song will dictate how far you need to go to get an audio landmark. I’ll tell them, “Sing when you hear where you are, and I’ll punch what I need,” and start the track. This is a most important part of overdubbing vocals in my experience; if a singer waits to sing until you go into record, matching the old and new vocals is almost impossible. By singing along (and having them try to match their old vocal pass), the singer’s breaths will be where they should be, the texture and timbre of the old and new tracks will come closest to matching, and the volume of the old and new tracks will be matched. How much time does it take to record keeper vocals? Obviously, it takes as long as it takes. Most of us have read about artists who spend weeks or even months working on their vocals, but in the real world of tiny budgets and tight deadlines, we have to make decisions and move on. Even when doing vocal overdubs, I’ve had singers who nailed the whole song the first time they did it; so the minimum time would be about 3 minutes for a 3 minute song. The maximum that I’ve spent on a single lead vocal for any song is about three and a half hours. After that, the singer will be starting to get tired—for that matter, my brain will quit working, too. 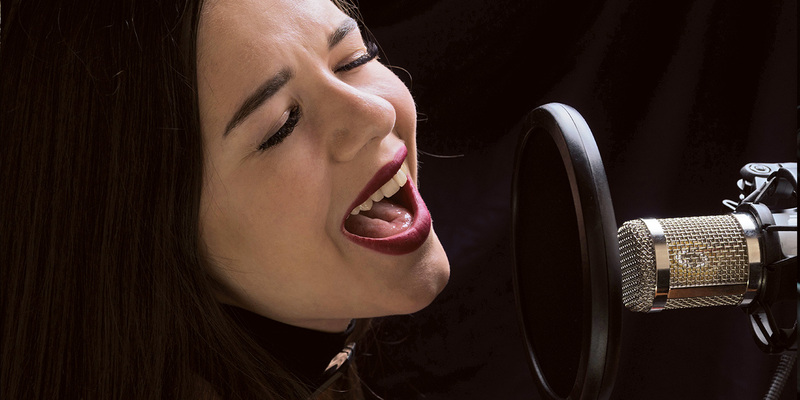 In any case, after singing for three hours, even with short breaks, the singer’s voice will have changed, making the matching different takes problematic. For most of us, if you’re still working on the first song after two or three hours, you might have to consider either (A) saying “It’s done, you’re great!” or (B) moving on, and coming back to the song at another time. 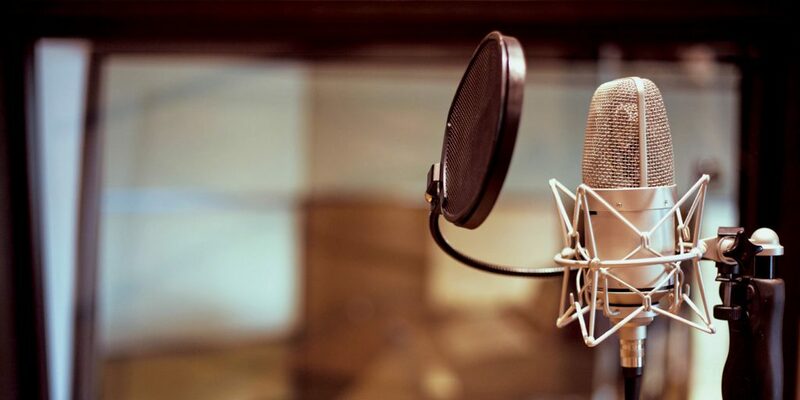 In Part 2 of this article, Dave address issues of microphones, signal paths, and other items that should lead to successful vocal recordings.